Well stated Jane! The MoE&CC would state WTN is like a barking dog because thats all their standards look for. I have no kind words for this from the MoE&CC. It has to be “stunning ignorance” and it filters down from the top. The entire dept. is corrupt. It’s very good that people are seeing what those who have been/are being harmed have been dealing with all along from the MOECC. We need meetings like this in the future to be recorded and put into the public domain, so that everyone in this province can see for themselves the level of ignorance people being harmed are dealing with. We all have a right to know why papers, such as the Max Planck research on impacts on the brain (neocortex) from infrasound has been sloughed off by the MOECC’s Technical Standards and Assessment Branch. People experiencing harm need to know exactly why the findings of Dr. Neil Kelly were ignored. We need to know who made that decision. All of this must come out into the open NOW. Perhaps several members from the MoE&CC (or even some of our provincial politicians) should be encouraged to “bunk in” for a couple of months with noise plaintiffs owning homes adjacent to IWT’s. Pretty sure a barking dog would subsequently seem trivial. Having been a member of the federal public service for 30 years, 15 of those as a senior manager, I have no doubt that this statement was made (repeatedly) to let you know that their position was dictated from the top, i.e. under direction from the politicians. So, is the next step is to meet face to face with the people within the MOECC’s Technical Assessment and Standards Branch? Rick Chappell needs to be asked to arrange for that meeting to happen as soon as possible.The meeting needs to be videotaped and made available, in the public domain, so that people throughout the province, the country and the world can see how these people justify continuing the harm. BARKING DOGS! SERIOUSLY?? Hello MOECC take note that in the case of barking dogs that are an annoyance the municipalities are ALLOWED to issue noise nuisance regulations that do not require a phalanx of expensive testing experts to ascertain the level of all of this barking that is disturbing people’s night rest. MOECC you are barking up the wrong tree with this comparison. Admittedly it is one level up from the “quiet” refrigerator spewed out by the wind corps. Sorry folks if this rubs anyone the wrong way, but I am surrounded by some 50 of these environmental wonders and just cannot take this nonsense from the MOECC seriously any longer, but do thank those who will have helped the MOECC hoist on its own petard! Re: The ‘Green Energy Act Alliance’ coalition. Re: Health and climate change articles. In order for barking to be in violation of the bylaw it must be: (1) frequent and persistent; and, (2) disturb the neighbourhood (more than one household). Excessive barking does not have a specific definition. There is no time duration or specific times of the day that automatically defines prohibited barking, and each case is dealt with individually. However, owners who allow their dogs to bark frequently and persistently or bark during the night are likely to be in violation of Animal Control bylaws. What do I do if there is a serious barking problem in my neighbourhood?Talk to Your NeighbourIf possible, approach your neighbour and tactfully discuss the problem with them. Believe it or not, many people do not realize that their dog barks when they are not home or that it disturbs their neighbours. Many dog owners react well to such friendly approaches and are able to find a solution without an official visit by a Bylaw Enforcement Officer.Contact Animal ControlIf no results are achieved by your friendly visit or you choose not to make contact with the dog owner, call the Animal Control Officer for you area. Be prepared to leave a voicemail message with name, address and phone number as well as the address of the barking dog, its recent barking history, description of the dog and name of the owners if known. The Animal Control Officer will make contact with the dog owner and advise them a complaint has been made. 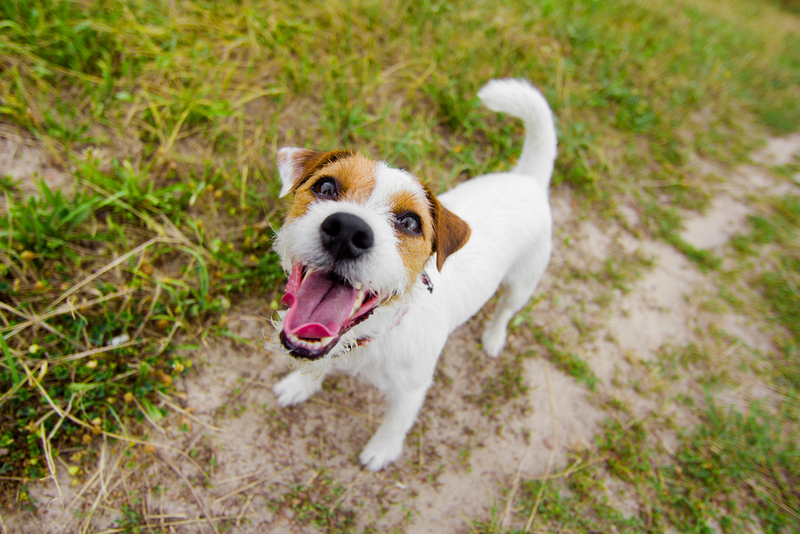 The complainant’s identity is kept confidential, they will only be referred as, “the complainant.” The Officer uses this opportunity to first confirm that the complainant has identified the correct source of the barking and to educate and inform the dog owner about barking regulations. The Officer will provide the dog owner with possible causes and solutions in efforts to assist the dog owner to correct the problem. The Officer will also ensure the dog is currently licensed and forewarn the dog owner that the complainant will be counselled to keep a Barking Log if they are further disturbed. Approximately 90% of barking complaints are resolved after the Officer’s initial visit. Some 8% of complaints require multiple visits – the Officer often requires Barking Logs at this point to convince a dog owner that a violation is occurring. One or two percent of complaints result in fines or injunctions.If Barking ContinuesIf the barking continues unabated and the dog owner is obviously doing nothing to resolve the situation the complainant will be directed to complete a Barking Log (see below for details). The Animal Control Officer will likely issue a Warning Notice to the dog owner if the Officer is satisfied a disturbance is occurring. If barking still continues the Animal Control Officer will, in most cases, need to identify a second complainant willing to corroborate the disturbances. The original complainant may already know of someone in the neighbourhood willing to come forward, if not, the Animal Control Officer will conduct a door to door canvass of the neighbourhood to determine the validity of the complainant’s allegations. If the canvass confirms a violation has occurred a Final Warning Notice will likely be issued to the dog owner. The dog owner will be directed to rectify the problem immediately and advised of pending penalties. If disturbances continue the complainant and other concerned neighbours must keep very detailed Barking Logs and use other means of documenting the disturbances (audio recordings, photographs, video tape). The Animal Control Officer will review evidence presented and where warranted issue fines to the dog owner. If the dog owner disputes the tickets, witnesses will be subpoenaed to court to provide testimony.Barking LogThe Barking Log is to be used by persons who have recently reported a barking dog to the Animal Control Officer. The Officer has spoken to the dog owner about the disturbance, but there appears to have been no change and the dog continues to bark as before. Once given direction to keep a Barking Log, be sure to follow all of the specific instructions on the form. When three days of significant barking has been recorded in any 10-day period, call the Animal Control Officer as soon as possible so they can review the log and take steps to resolve the matter while it is still fresh. Contact phone numbers are on the bottom of the Barking Log form. Do NOT complete a Barking Log prior to contacting an Animal Control Officer and receiving direction to do so. Barking Logs completed without direction to do so will not be accepted.Barking LogFill out our Interactive Form and email it to our office. *Please note that the form may not be fillable in Firefox 19.0 and higher.Interactive Barking LogPersons who keep Barking Logs must be 100% truthful when documenting disturbances and not exaggerate or embellish facts. A Barking Log that consists of numerous entries detailing exact times, durations and observations will provide the Officer with a powerful tool to work with. A Barking Log that consists of a few general statements and approximate times is unlikely to convince the Animal Control Officer, the dog owner or a Judge. Most important: have patience and be consistent. Webpage has a profile of each organization. This whole system is a crime being perpetrated on country folk who don’t have any power to resist; the walk-aways from people’s affected homes tell the true story of the turbines’ effect on people’s bodies. Our government has betrayed us and sold us down the river. For pennies on the dollar. Where can we turn? infuriating! total and complete betrayal! When the WT blade passes the tower, it creates a disturbance in the form of compression of air. The compression of air is a strong fluctuation in barometric pressure which is both theoretically predictable and measurable in the infrasonic noise range, typically the fundamental at approx. 0.7 Hz with harmonic frequencies at multiples of the fundamental frequency. This infrasonic pulse propagates up and down wind via spinning modes. It normally passes up above homes with very little impact, but several factors, including wind sheer height, humidity, air temperature relative to ground, etc. can cause it to interact directly with homes, perhaps not right next to the turbine, but further away, even 8.4 km away. The impact zone varies horizontally by wind direction and vertically (or distance) by these other factors. I have measured wind turbine infrasound from 0.74 Hz to 19 Hz in my home on a day I could not sense it. Yet, in Ontario, our MoE&CC continues to give all infrasound a free pass and does not consider any of the variables above. Despite it being proven ineffective, they continue to apply A Weighting to their noise measurements and try to represent all noise with one number. An expert in measuring wind turbine infrasound will tell you that humankind has never been exposed to a noise source like a large wind turbine. Even a jet does not produce infrasound so low and pulsating. The fact that the MoE&CC crafted rules, standards and procedures which allow all this to happen, that the variables previously proven to determine health impacts are also excluded from scrutiny are testaments to the fact that our MoE&CC, who is paid by our tax dollars, is at least complicit in this offense against people and it looks like probably more. With each passing day that the “authority” continues to allow this, my opinion moves toward them being more than complicit – rather abetting. I have approached them at all levels with real data and an open mind, hoping to work together. My professionalism was met with evasiveness and ignorance. so situated as to be able to exercise free power of choice, without the intervention of any element of force, fraud, deceit, duress, over-reaching, or other ulterior form of constraint or coercion; and should have sufficient knowledge and comprehension of the elements of the subject matter involved, as to enable him to make an understanding and enlightened decision. This latter element requires that, before the acceptance of an affirmative decision by the experimental subject, there should be made known to him the nature, duration, and purpose of the experiment; the method and means by which it is to be conducted; all inconveniences and hazards reasonably to be expected; and the effects upon his health or person, which may possibly come from his participation in the experiment. 3. The experiment should be so designed and based on the results of animal experimentation and a knowledge of the natural history of the disease or other problem under study, that the anticipated results will justify the performance of the experiment. 5. No experiment should be conducted, where there is an a priori reason to believe that death or disabling injury will occur; except, perhaps, in those experiments where the experimental physicians also serve as subjects. 9. During the course of the experiment, the human subject should be at liberty to bring the experiment to an end, if he has reached the physical or mental state, where continuation of the experiment seemed to him to be impossible. 10. During the course of the experiment, the scientist in charge must be prepared to terminate the experiment at any stage, if he has probable cause to believe, in the exercise of the good faith, superior skill and careful judgement required of him, that a continuation of the experiment is likely to result in injury, disability, or death to the experimental subject. An Ontario court (Drennan) dismissed the idea of rural residents as victims in an “experiment.” The judge said, he didn’t want to hear this brought up again — the government was elected by the people and the government has decided to run this wind power program. So does this mean that we can access the actual proof from the MOECC that industrial scale wind is backed by scientific evidence that no one will be harmed from noise, low frequency noise modulations, infrasound radiation and extreme fluctuations in harmonics due to grid instability issues? Is this what the judge implied in your assessment? Judges are paid with taxpayer dollars. MOECC operates with taxpayer dollars. Both are annointed by the government.